Learn how Microflow Chromatography brings a new dimension to your sensitivity needs for biotherapeutic quantitation in a no fuss, ease of use format in the OptiFlow Quant solution. In this resource pack we showcase what microflow chromatography can bring to your laboratory in a single, flexible, sensitive quantitative solution for all your biotherapeutic challenges be it peptides, mAbs or ADC’s. Infographic - Why Move to MicroFlow? 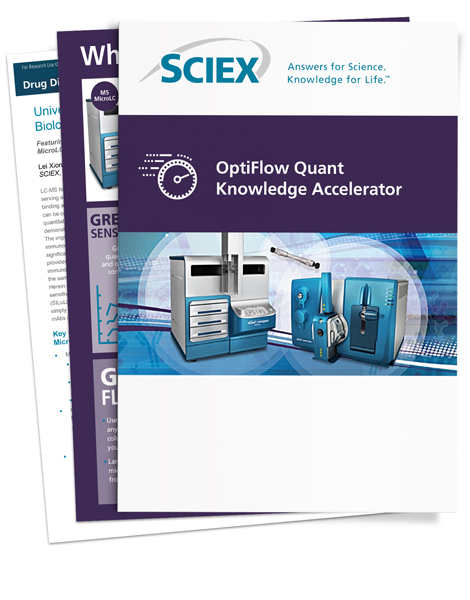 Technical application notes on biotherapeutic quantification using OptiFlow.